When we support research, we promote amazing things: new breakthroughs, faster advances and better outcomes for people with breast cancer. "#WhyResearch matters to me: As I sat watching so many women young and old receiving chemo, I wondered how much longer for a cure should we have to wait. 12 chemo sessions, 1 surgery, 25 radiation treatments and 9 months later, I'm here as I embrace my hair now!" Jo Join Jo and tell us #WhyResearch matters to you. For every post shared on Instagram from now until Mother's Day using the hashtag, $10 will be donated to BCRF, up to $5,000! 1 in 8 women will be diagnosed with breast cancer in her lifetime. That's #WhyResearch matters. Scientific innovation is the only way we will be able to effectively treat and prevent breast cancer altogether. The UCF College of Medicine supports breast cancer research and you can, too! For the rest of the month of May, each time you tag your public Instagram posts with #WhyResearch, $10 will be donated to the Breast Cancer Research Foundation (up to $10,000)! Share a photo of why breast cancer research is important to you this could be a particular person impacted by the disease, or something more abstract like an image that symbolizes hope, courage and strength. My mother grew up with two immigrant parents and spent any free time working in their picture frame shop. Through hard work and determination she became a part of @northwesternmedicines 6 year med program and proceeded to be @stanfords youngest medical resident. Now she holds a distinguished career as head of pediatric anesthesia. She has been the best mom in the entire world. She has proven that as a woman, you can have aspirations while running a family. When I was 10 years old my mom was diagnosed with breast cancer and it was heartbreaking for everyone. It's something that is still hard to talk about because it makes me remember the only time in my life where I thought she looked weak. However one thing that I'll never forget was her refusal to wear a wig when she lost her hair. To her, showing her shaved head to the world wasn't a sign of illness so much as it was a sign of her fight. My mother is forever and always a survivor. 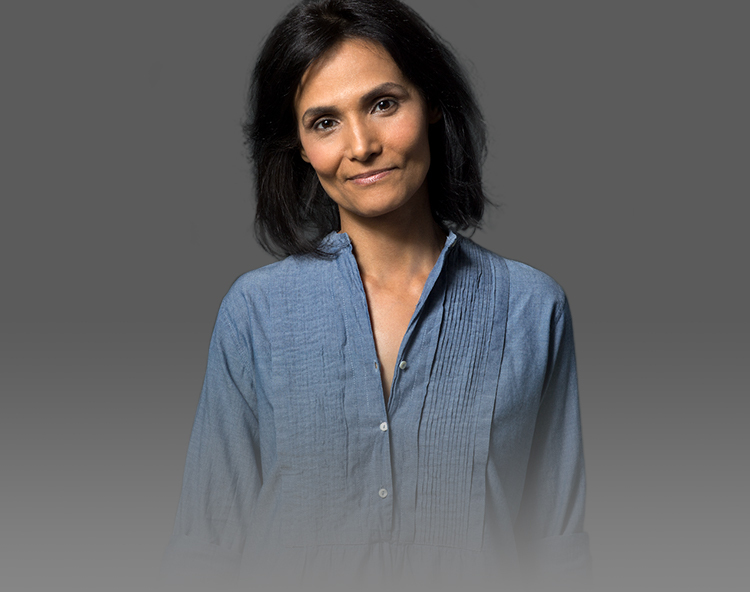 We are unbelievably fortunate that her cancer never progressed past stage 1 and that she was cured after surgeries, chemo, and the continuation of pills daily. This is her 6th year cancer free and for this I am indescribably grateful. When I was 12, I told my mom I didn't want to end up like her because didn't want to have cancer but I now realize that there are so many other ways that I do want to be like her. As a matter of fact, the greatest compliment I've ever been given is that I am a mini version of her because she has done and continues to do it all. @bcrfcure is an amazing organization because they are working to make sure that young girls everywhere grow up with mothers that will influence them to the extent that mine has. BCRF utilizes the power of research in hopes of curing this terrible illness that takes far too many lives and touches far too many families. Thank you #BCRF for seeking to give futures to women everywhere, and to my mother for teaching me that a woman never has to rely on anyone but herself, I truly can't think of anyone more remarkable. @gracek_shin . . . Join Grace and tell us #WhyResearch matters to you. For every post shared on Instagram using the hashtag, $10 will be donated to BCRF. #whyresearch BCRF For all moms, daughters, sisters and friends to feel hope and share joy, laughter and compassion in all that they do! 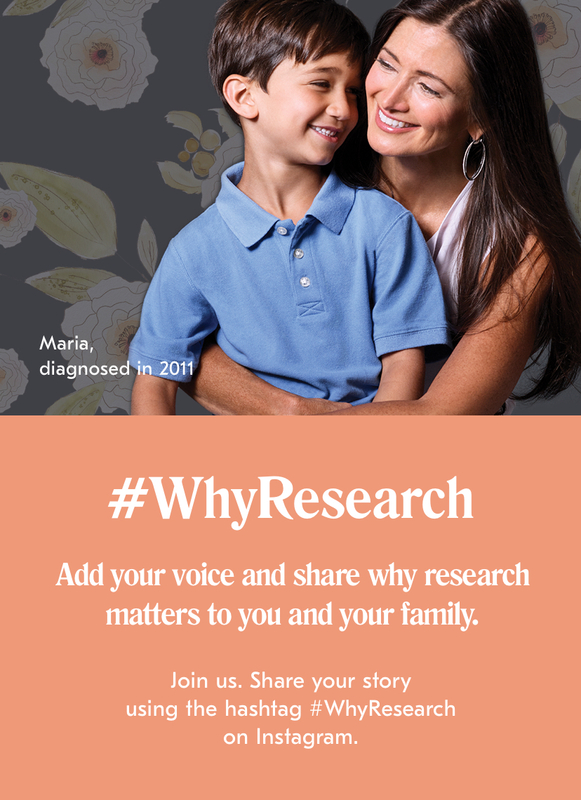 Share your story using the hastag #whyresearch on Instagram. You can find us at @bcrfcure. 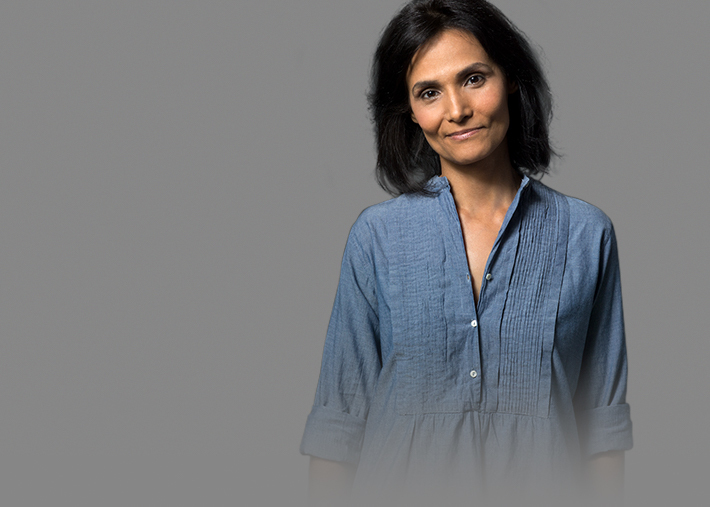 Before her diagnosis, Karima Zizoune didn't know anyone who had cancer. Today, she is transforming her experience into an opportunity to help others.